There is a stench over sections of the South Coast and the residents, businessowners and visitors are becoming sick and tired of it. 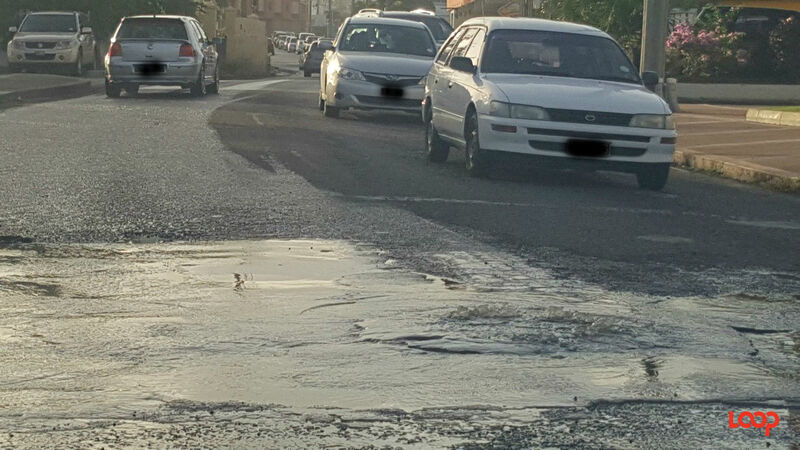 Many locally, regionally and internationally are following the South Coast sewage issue, which is bubbling up daily and overflowing into the streets along Worthing and Hastings, Christ Church, especially after heavy showers. Yesterday a Loop reporter walked the Worthing area and saw that many of the sewage covers had effluent and tissue paper in some cases, escaping. One sewage manhole had been sealed previously and it is still holding. This one is located out front of Palm Garden Hotel in Worthing. From Worthing Post Office, which has been closed indefinitely to the public up to the Sun Plaza and old Club Xtreme complex, the situation was just overflowing. However, not only was the effluent bubbling and guzzling out of sewer covers on the left of the street, but over by the sewer cover next to the Shop Smart Xpress the situation was the same. So it is overflowing on both sides of Worthing Main Road. Water has settled in the back of establishments like the now-closed Chicken Barn Worthing location and at the site where Lemongrass Xpress was previously located, as well as behind Sun Plaza. The water is green with algae and bacteria. Visitors and locals could be seen walking the Worthing stretch in slippers and sandals primarily. This is something that the Solutions Barbados candidate for the constituency highlighted previously; Scott Weatherhead used this as grounds for labelling the situation ‘unacceptable’. In addition to pinpointing the footwear, he also said that he had been told of parents pushing strollers with babies through the wastewater, and when Loop visited yesterday an elderly Caucasian man was pushing his walker through the waters. Reports reaching Loop from anonymous sources at some South Coast hotels echoed his concern, and added to it. They said that the fact that persons then walk off the streets and traipse through the hotel without thinking to switch shoes or without having to step into a solution or step onto a special antiseptic mat, means that the germs are going into restaurants, on pool decks and even into hotel rooms on tiles and mats. Some hotel staff members are extremely concerned about the impact on a wider scale. The Ministries are working through and around the issue though, with supportive Ministries offering assistance. Down by Lanterns at Hastings in Hastings, further along the South Coast moving in a Western direction from Worthing, the Ministry of Transport and Works has moved the pedestrian crossing from right by the bubbling sewer cover. They have moved it by some meters in the Eastern direction. Pedestrians were choosing to jaywalk as opposed to try to cross on the old crossing. There still is a bus stop almost adjacent to the sewer cover which seems to be constantly overflowing, after heavy rains or not, and there are numerous potholes in that small section of road. Drivers and passengers are rolling up windows to avoid being splashed. Most persons are refusing to stand at that bus stop for fear of being splashed. Most recently, when asked about possibly closing some food businesses along the South Coast, the Acting Chief Medical Officer Dr. Kenneth George told the media that the Ministry of Health “at this point in time is not going that route.” He said that there is no information reaching them that says they need to close properties. However, he echoed his comment, which he had made about a month ago, and once again called for an emphasis to be placed on food handling techniques and hygiene. He said that there will be more intensive training for food handling being rolled out and there will be a greater presence of Public Health Officers on the South Coast. He honed in on the sewer cover in front of Lanterns and said that is of “most concern” to the Ministry at this point. He called on the properties in the area, especially food establishments to “report any cases to the Ministry of Health.” He said that there is one new case of gastroenteritis, but they are working with establishments to ensure prevention and control methods to avoid any outbreak. 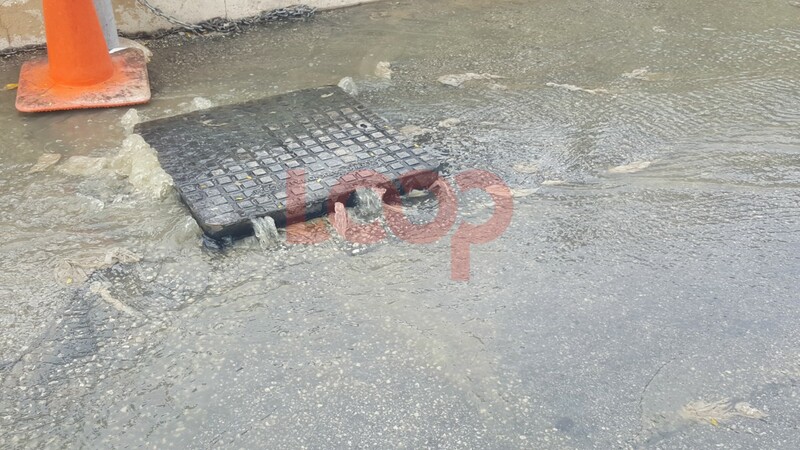 Meanwhile, on Friday, the Barbados Water Authority (BWA) carried out more dye tests in the area as they continue to work to pinpoint and map the problems, especially blockages in an effort to correct this issue. “This is beyond the simple crisis; this is a serious issue. This is a national issue. We need the cooperation of everyone…. Tourists are on TripAdvisor discussing the issue too, and some of the comments don’t paint a pretty picture. “I have just spent the last two days laid low with a tummy bug,we have been staying at Rockley golf course and have tried to avoid the area affected by the sewage on our first evening we walked along the broad walk to Blakeys and had a drink the smell around the Tapas bar was awful and the storm drains runs right beside the restaurant directly onto the beach pure sewage it was disgusting .We decided after seeing the the sewage running into the storm drains we would not use worthing ,rockley or hasting beach as there is brown water .Just outside Tapas and there was a guy taking samples and photos . 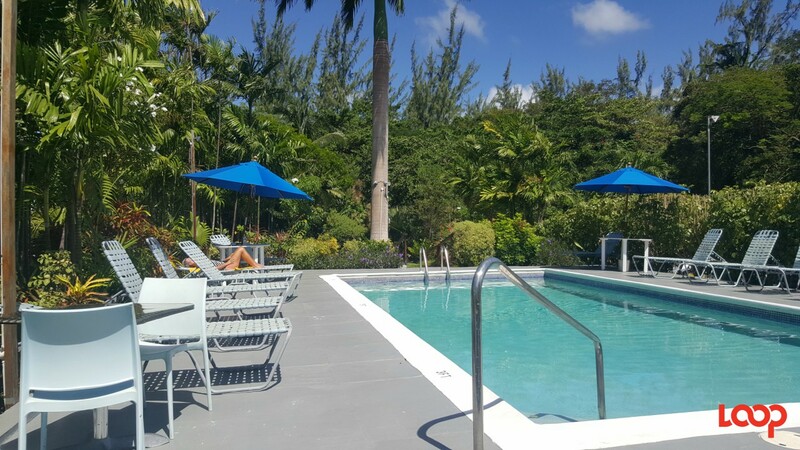 “The only beach I have swam in is Carlisle bay and we cancelled our dinner reservation at Tapas ,we have moved to the Crane Hotel today this was already planned we will not be heading south for the rest of our holiday . A Level 5 Contributor from Littlehampton, UK, shared, “…maggiechelsea also had her children splashed with raw sewage on the way to shop at the Massey Super Store in the epicentre of this disaster, Rendezvous,Worthing..
She said, “Equally there may be another reason. Children are magnets for most illnesses. They could have brought it with them, picked it up at the airport, on the plane etc. 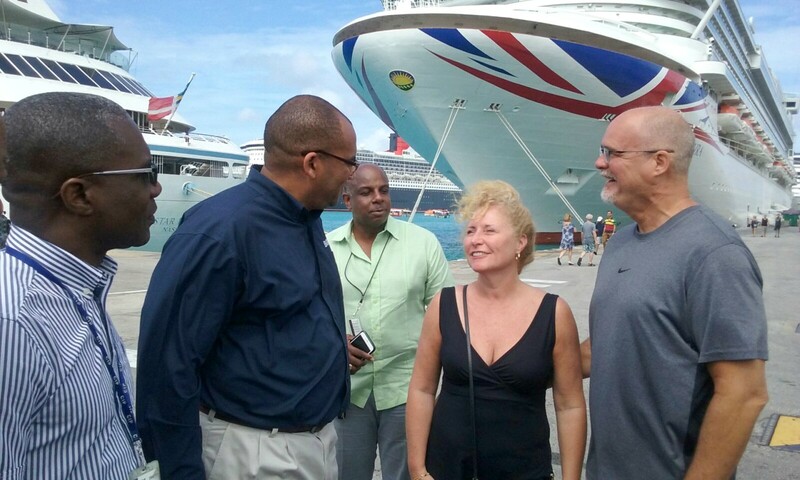 And it is with these mixed ideas being conveyed by tourists, that the Barbados Hotel Tourism Association (BHTA) wants the issue fixed pronto. Highlighting the point that while the BWA tackles the situation it is still continuing, CEO of the BHTA, Rudy Grant said in a press release, “we are prepared to work with them [BWA] to assist in a resolution to this unacceptable situation. This problem has the potential to negatively impact `Brand Barbados` and cost millions of dollars in visitor receipts if it becomes a subject of concern in our source markets. While this is not the situation today, if this issue is not effectively dealt with as a matter of urgency the potential to negatively impact tourism exists." And as it relates to the odor, the Ministry of Environment said they are ready and willing to help. During a recent interview with the Barbados Government Information Service, the Minister of Environment, Dr. Denis Lowe said the Sanitation Service Authority (SSA) was seeking to employ the services of a supplier to assist in washing down areas affected by sewage and apply a deodorizer to suppress the scent in the area. “We hope to start as soon as possible with the appropriate permissions and approvals to be granted by the Authority,” he stated. Loop was unable to confirm whether or not the washing down process had commenced at the time of this report.